The 29th International Symposium on Computer Performance, Modeling, Measurements and Evaluation 2011 will be held October 18-20, 2011, in Amsterdam, The Netherlands. The IFIP WG7.3 Performance conference aims to bring together researchers interested in understanding and improving the performance of communication systems by means of state-of-the-art quantitative models and solution techniques. The Performance conference has a long-standing tradition and has followed an 18-month	cycle for many years. Every three years Performance has been held in conjunction with ACM Sigmetrics. 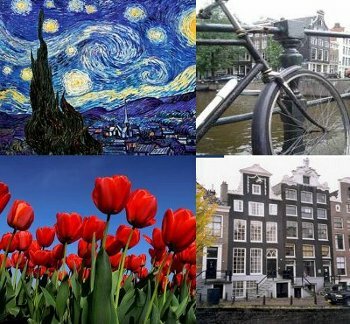 In 2011, the 29th Performance conference will be held in Amsterdam. The lively city of Amsterdam attracts millions of tourists each year and offers a wealth of possibilities for "must-see" sightseeing, with its magnificent historical city center with its characteristic canal region, the Van Gogh museum, the Rijksmuseum, the Anne Frank House, the Amstel river, and its numerous markets, quirky boutiques, parks, cafés and restaurants. Just outside of Amsterdam, you will be able to visit picturesque villages such	as Marken and Volendam, and to enjoy the characteristic Dutch farmer land with its countless windmills. In previous conferences that were held jointly with ACM SIGMETRICS, the proceedings were published by ACM and also appeared in the ACM Performance Evaluation Review (PER) (see, for instance, this paper). When the conference was held as a stand-alone event, the proceedings were published as a special issue of Performance Evaluation (PEVA) (see, for instance, this paper). This year, authors of accepted papers will be given the choice to have their papers published in either PER or PEVA. In addition, this year, authors can also submit SHORT papers that upon acceptance will appear in PER. For more details, see the Call For Papers.